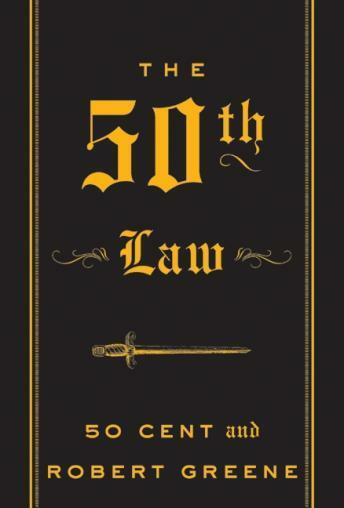 In The 50th Law, hip hop and pop culture icon 50 Cent (aka Curtis Jackson) joins forces with Robert Greene, bestselling author of The 48 Laws of Power, to write a “bible” for success in life and work based on a single principle: fear nothing. With stories from 50 Cent's life on the streets and in the boardroom as he rose to fame after the release of his album Get Rich or Die Tryin’, as well as examples of others who have overcome adversity through understanding and practicing the 50th Law, this deeply inspirational book is perfect for entrepreneurs as well as anyone interested in the extraordinary life of Curtis Jackson. The book was great. It helped concur a lot of fears and doubts I had. This is my second time reading I guess you can call it. The first time I bought it off amazon and read it. Audio is way more cooler and better. Thank you audiobooks forever a fan! Amazing I needed this it put me in the right mindset to get back on track with my goals???? This book talks about how to be more aggressive out of a street life perspective. It has some good examples but can be intimidating.